Heat oven to 375°F. In small bowl, toss shrimp and Creole seasoning to coat. Stir in cheese and egg. Separate dough into 10 biscuits; cut each in half. Press 1 dough half in bottom and up side of each of 20 ungreased mini muffin cups, firmly pressing dough to cover bottom and side, forming 1/4-inch rim over edge of cup. Divide filling among cups, using about 2 teaspoons filling each. Bake 13 to 15 minutes or until filling is set and edges of crusts are golden brown. Go for the Creole gusto by serving these appetizers with red pepper sauce. 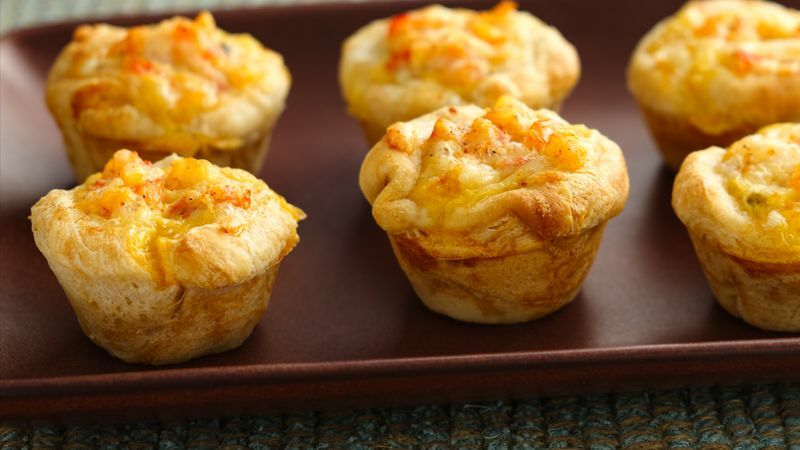 Best served warm, these little appetizers reheat nicely if made in advance. Heat in a 300°F oven, loosely covered with foil, until desired temperature for serving.